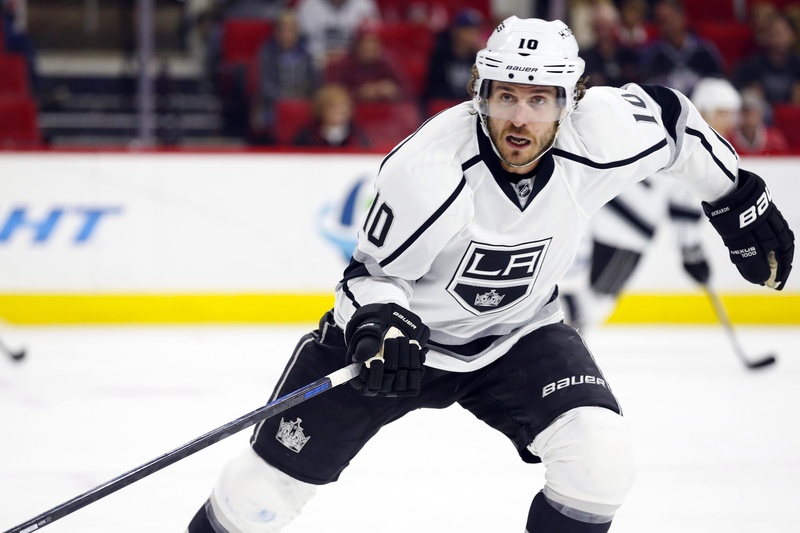 The Mike Richards saga continues. The NHLPA filed a grievance with the Los Angeles Kings on Monday, contesting the termination of his contract in June of this year. We reported on that termination, which stemmed from a myriad of issues. What we do know is that Richards had five years left on his initial 12 year deal with the Kings. A season prior to his eventual termination, the Kings considered buying him out before trying various things to motivate their player. They put him in the line-up, then put him on waivers, then sent him to the AHL affiliate. Nothing worked, at least as far as they were concerned. The ultimate straw that broke the camel’s back seems to have been an incident at the Canada-U.S. border involving Richards that took place on June 17. The King were alerted to the situation on draft day. They were allegedly working on a deal to trade Richards to either the Calgary Flames or Edmonton Oilers, but Los Angeles general manager Dean Lombardi called off the talks once he learned of Richards’ border incident. The thing about the border incident is that so much of it is still shrouded in mystery. Richards was allegedly held in custody for four hours after trying to import OxyContin pills. But the RCMP said that they hadn’t charged Richards with anything, plus they wouldn’t even confirm that they were investigating him in the first place. The situation was enough for the Kings to terminate the contract, however, which is more than a little curious. They were already looking for a way out and this alleged breach of the conduct code was all they required to do so. This may be where the NHLPA focuses its attention as they contest the termination. It’s also where the Los Angeles Kings could find themselves in a bit of a pickle, at least if it comes to breach of conduct codes. Slava Voynov, for one, presents a problem. Voynov was suspended by the league after his arrest on domestic violence charges. The defenceman was charged with “one felony count of corporal injury to a spouse with great bodily injury,” but the Kings decided to circumvent the league suspension and common decency by having Voynov attend a team practice anyway. They were fined. Voynov eventually pleaded no contest to the charges against him and faced 90 days in jail. He received three years probation and is still an active member of the Los Angeles Kings. He is under contract, even though he’s under league suspension. The Kings didn’t suspend Voynov despite the seriousness of the charges, which makes their accusations against Richards more than a little hypocritical. Whether they like it or not, the Kings are sending a message in their determination to escape Richards’ contract and keep Voynov’s deal alive. That message will likely be the target for the NHLPA as they contest this matter over the next while.